Manu Propria is from the Latin meaning, “By my own hand,” and has been used since the middle ages to denote something too important to be entrusted to another. Our logo is based on a medieval woodcut representing a stylized “MP” for Manu Propria, which was used to seal official documents. To the right are the letters “vnm”, an abbreviation of vinum, Latin for wine. Thus, our label reads “Wine by my own hand”. 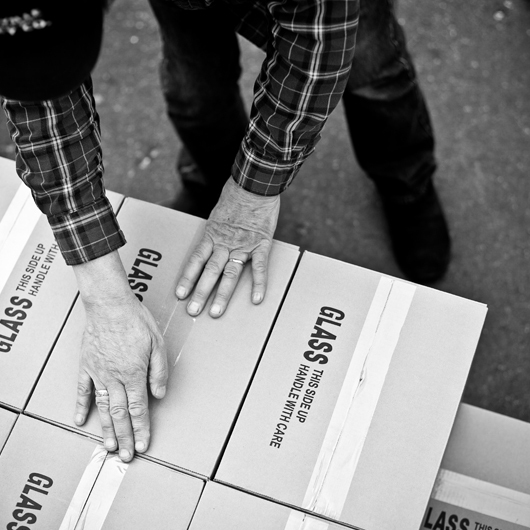 Our winery is an intentionally small family organization, ensuring that every bottle receives our full personal attention. Propria. Respect for the earth that provides such beautiful fruit. 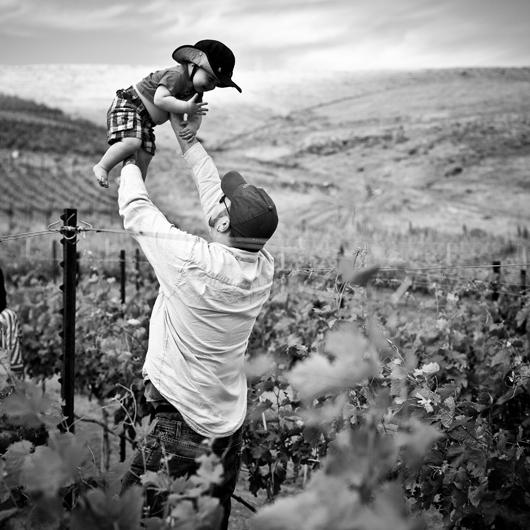 Respect for the families who tend the earth and nurture the vines. Respect for the grapes and their inherent unique qualities. Respect for you, with the glass in your hand, willing to be surprised and challenged and delighted. of the world in 2011. 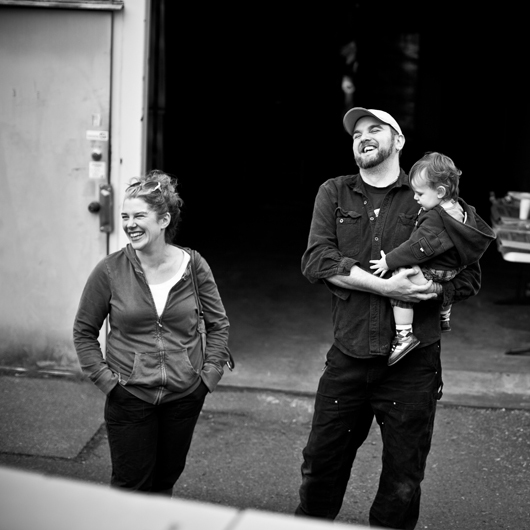 Wine Enthusiast named Mark Ryan Winery a “Rising Star” among Washington cult wines. 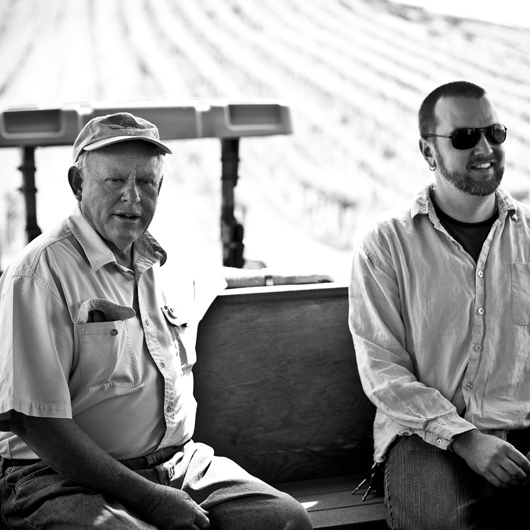 Force Majeure Vineyards, they have tapped Mike to act as their estate winemaker. We expect extraordinary results from this exciting partnership with one of the finest vineyards in the state. She brings a background in architecture, with a creative eye and small-business owner’s savvy. Although her primary role is keeping the home fires burning while Mike works ceaselessly over your wine, she lends a hand wherever it is needed: providing you a friendly face and willing ear, managing social media, press, and marketing efforts, handling direct sales and shipping, sitting in on blending trials, and writing tasting notes. 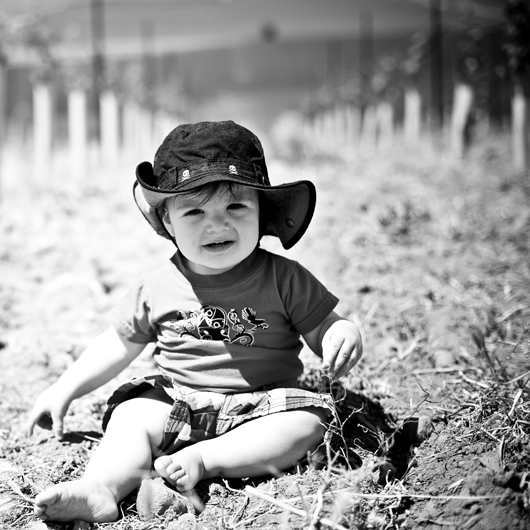 He enjoys smelling the wines, and seems to have a fine palate already, as the bouquets of the finest vintages induce a frenzy of happy toe wiggling. It will be a few years before we can start making him wash out fermentation vats for pocket money. Until then, he’ll just continue to earn his keep by being cute. Who has been instrumental in the creation of Manu Propria, as well as being a good friend. He has been generous in sharing his knowledge of the industry, not to mention orchestrating countless BBQ dinners. We are also so thankful to the sales team at Mark Ryan, who have agreed to distribute Manu Propria on our behalf. Who created our gorgeous logo based on an interpretation of a medieval woodcut “Manu Propria” used to seal important documents. Who generally made sense of anything technological, organized our concepts into a knock-out website, and populated it with her own gorgeous photography.